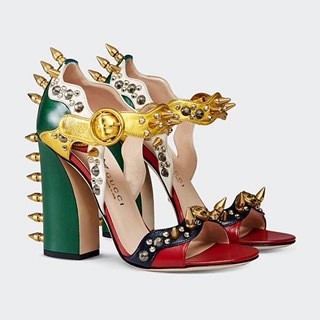 This blog is solely dedicated to finding ways we can incorporate our budgets whatever they may be to outlet fashion tastes. 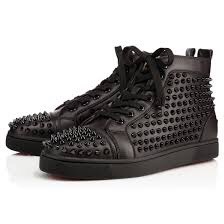 Spiked shoes have walked on so many runways and on so many streets. This morning I was a little taken back when I saw an advert glaring at me from the sides of the open links I had opened. We all know Google checks out our cookies to send things we are interested. Since I am always searching for ways to stretch the Euro it is no secret that DIY – do it yourself- is frequently in the search button. 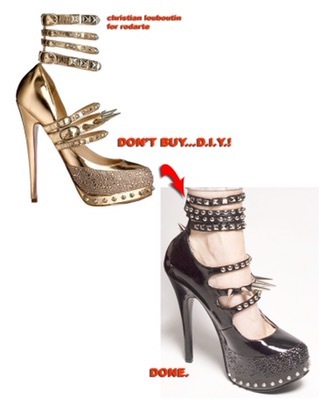 So, lo and behold there was a DIY to have that coveted spiked shoe by some fashionistas. 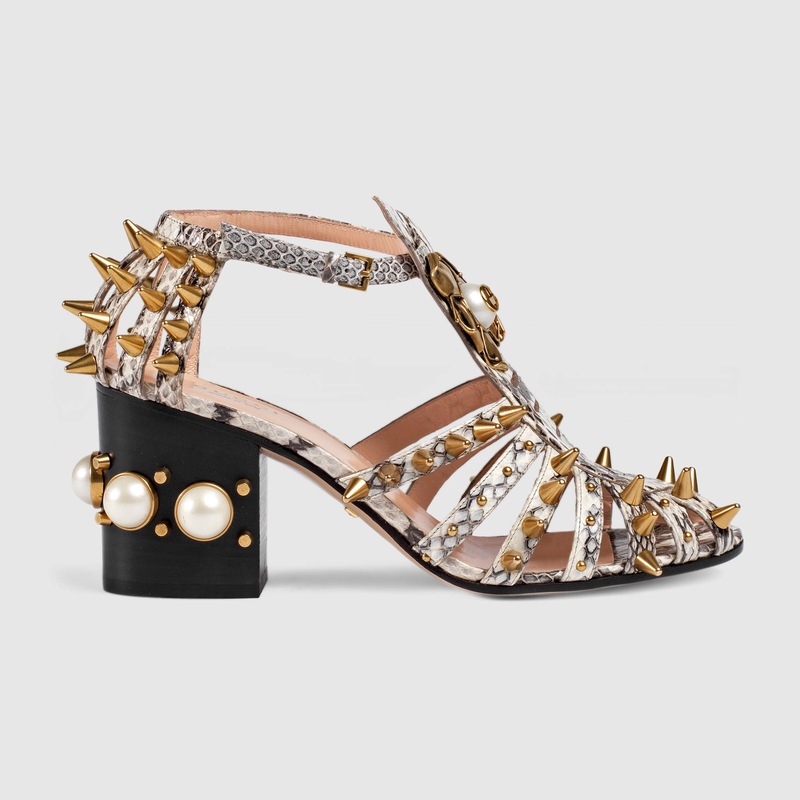 I guess who battled with spending thousands of dollars on a pair of shoes when the mighty DIY glue gun and a few spikes, nails and clips would do the trick. 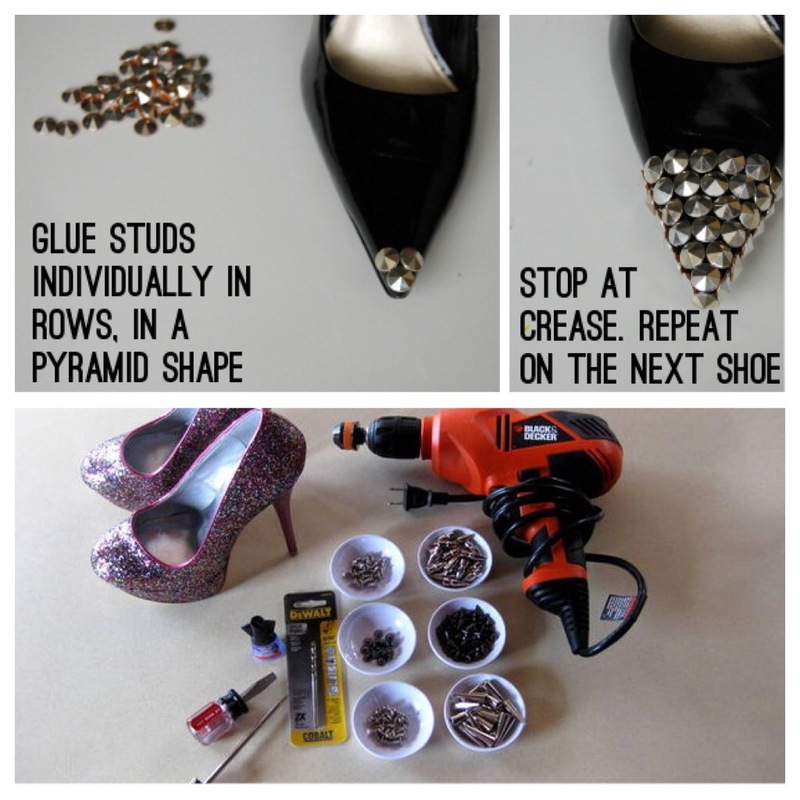 This is one DIY I will wait to try, only because I fear for these spikes to fall when am walking or worse poking me from inside the shoe all in the name of a good spiked heel or kicks. To splurge or To DIY?